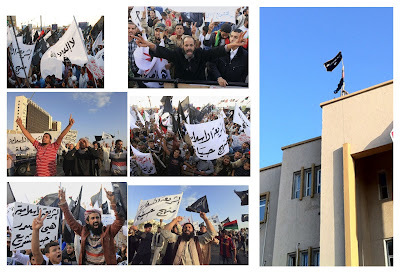 NATO Libyan "liberation" unleashes terror "tidal wave" over North Africa. April 5, 2012 - Western nations, including the United States, England, and France - the neo-imperial trifecta - have decried a recent military coup in the North African nation of Mali based on the grounds of violating "democratic principles." Each nation has now proceeded to impose crippling sanctions on Mali until "civilian rule" is restored. Targeting and purposefully weakening Mali regardless of how the new government came into power exposes once again the insincerity, indeed, the fraud of the global "War on Terror." This is because the government of Mali was specifically overthrown by the military regarding its inability to deal with a rebellion festering in the nation's north, bordering Algeria and part of the nomadic Tuareg's territory which stretches from the Atlas Mountains in Morocco all the way to western Libya. And due to the general lawlessness that is a feature of this region, smugglers, weapons dealers, and more importantly, terrorists, are also operating there. 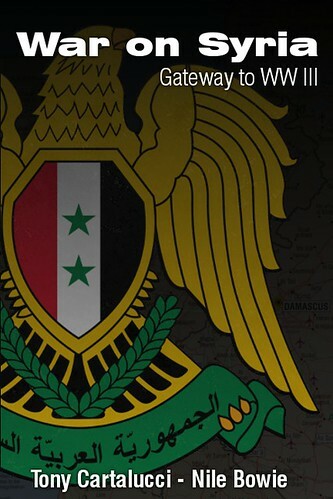 This includes Al Qaeda in the Islamic Maghreb (AQIM), a US State Department listed terror organization (listed #38). In fact, while Mali's northern unrest has been characterized as a "Tuareg separatist movement," it is actually AQIM extending its holdings - a fact being slowly admitted so as to blunt the implications this violence carries with it. Therefore, purposefully sabotaging the Mali government at this critical juncture, only gives AQIM more time to consolidate its current holdings and prepare to expand yet further. 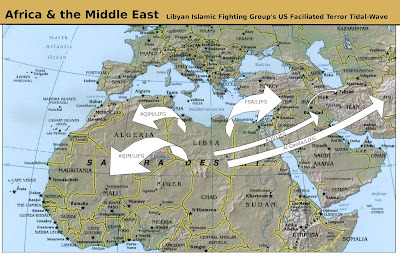 In a 2007 West Point Combating Terrorism Center (CTC) report and a 2011 CTC report, "Are Islamist Extremists Fighting Among Libya's Rebels?," AQIM is specifically mentioned as working closely with the Libyan Islamic Fighting Group (LIFG) and it was predicted most notably by geopolitical analyst Dr. Webster Tarpley, that even before NATO began dropping bombs on Libya that by doing so, they would be thrusting not only LIFG into power, but empowering a regional network of extremists, including AQIM. AQIM's presence in northern Mali, flush with weapons from Libya and a new sense of purpose is this prediction unfolding into reality. 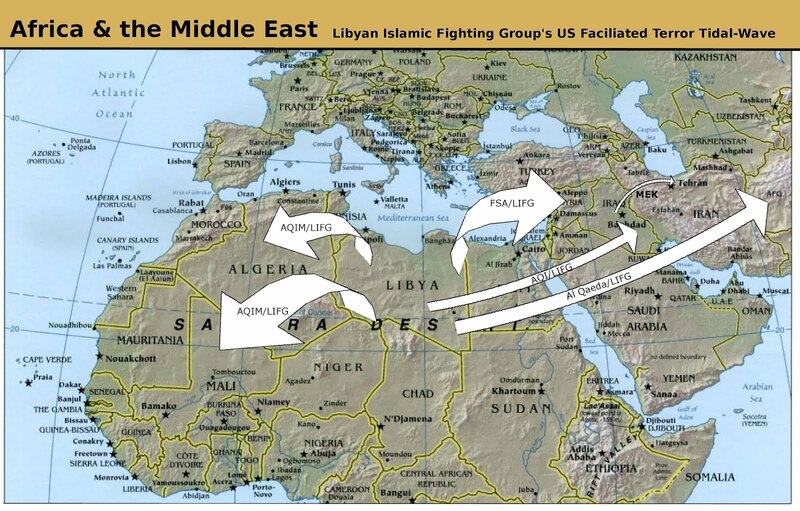 Bruce Riedel out of the corporate-financier funded Brookings Institution think-tank wrote, "Algeria will be next to fall," where he gleefully predicted success in Libya would embolden radical elements in Algeria, in particular AQIM. Between extremist violence and the prospect of French airstrikes, Riedel hoped to see the fall of the Algerian government. Should AQIM be successful in carving out holdings in northern Mali, it will only be a matter of time before they begin crossing into Algeria. It should be noted that Riedel is a co-author of "Which Path to Persia?" which openly conspires to arm yet another US State Department-listed terrorist organization (list as #28), the Mujahedin-e Khalq (MEK) to wreak havoc across Iran and help collapse the government there - illustrating a pattern of using clearly terroristic organizations, even those listed as so by the US State Department, to carry out US foreign policy. 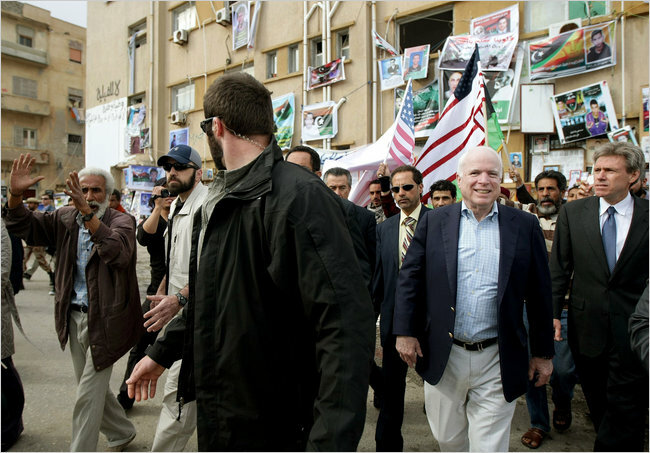 "Crucially, still in 2007, then al-Qaeda's number two, Zawahiri, officially announced the merger between the LIFG and al-Qaeda in the Islamic Mahgreb (AQIM). So, for all practical purposes, since then, LIFG/AQIM have been one and the same - and Belhaj was/is its emir. " "Belhaj," referring to Hakim Abdul Belhaj, leader of LIFG in Libya, led with NATO support, arms, funding, and diplomatic recognition, the overthrowing of Muammar Qaddafi and has now plunged the nation into racist genocidal infighting. This intervention has also seen the rebellion's epicenter of Benghazi peeling off from Tripoli as a semi-autonomous "Terror-Emirate." Belhaj's latest campaign has shifted to Syria where he was admittedly on the Turkish-Syrian border pledging weapons, money, and fighters to the so-called "Free Syrian Army," again, under the auspices of NATO support. Image: (click image to enlarge) Truly NATO's intervention in Libya has been a resounding success. Not only has the West managed to revive the terrorist LIFG organization Qaddafi had been fighting successfully for decades, but now "international institutions" have a casus belli spreading across the whole of North Africa, into the Middle East and beyond as NATO weapons and Western cash enable LIFG fighters to battle as far as Syria in the east and Mali to the west. 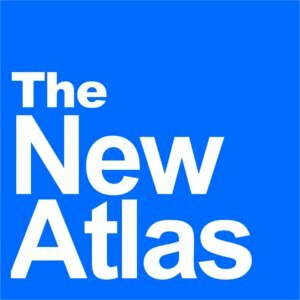 With LIFG handed an entire nation by the UN and NATO, it is now flush with cash, resources, weapons, and fighters eager to carry their "revolution" to the four corners of the globe - and in Syria, NATO is once again facilitating them in their quest - a quest that also coincidentally fulfills decades-long US-planned regime change there. And while their push east into Syria is still underway, solely owed to the efforts of NATO and the UN, it appears since January of 2012 they have also been pushing into northern Mali under the banner of AQIM. AQIM does not just threaten the people of Mali - including the tens of thousands already displaced by the current fighting, but also the people of Algeria, Niger, and Mauritania - all of whom have fought costly battles, as did Qaddafi of Libya, to end the scourge of Al Qaeda in North Africa. In each and every case it has been the West who has harbored and rehabilitated these radical groups, infused them with weapons and cash, and provided them with political-ideological cover. Of course, no cover was more perverse than calling them "freedom fighters" as they ravaged Libya, emptying out entire cities, blockading and bombarding others indiscriminately and now permanently terrorizing the nation from east to west based on anything but "democratic" ideals. Americans are being taught to fear Islam and the people of the Arabic World as a source of extremism and barbarism. In reality, it is the people of the Arabic World on the front line fighting what is essentially a US-British-French-backed foreign legion of extremist fighters plaguing them for decades and attempting to dismantle their nationalist governments and way of life. The West's goal is to replace them with client regimes led by backward ideologies sure to arrest development and ensure that each nation's resources are funneled out solely for Wall Street and London's exclusive exploitation. Bickering, infighting ideologues are by far easier to manage within a global empire than the strong, secular, nationalistic states the Arab World would most likely transform into. Photo: Former US National Security Adviser Zbigniew Brzezinski organizing the CIA's Arab legionaries in the Afghanistan-Pakistan region in the early 80's. 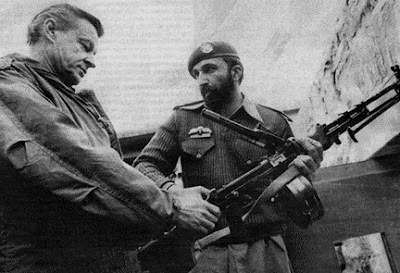 Al Qaeda would later spin off into regional terrorist organizations, covertly armed, trained, and protected by the CIA to this day, including LIFG in Libya, MEK in Iraq and Iran, and Baluchi terrorists in Pakistan. While the West poses as a force for humanitarian causes and against the tides of terrorist savagery, they concurrently prop these organizations up when nations around the world would have had them otherwise crushed decades ago. The terrorist problem is one created and perpetuated by the West, more specifically the peddlers of "international institutions" led by Wall Street, London and the client states captured in their orbit. While they pose as the ultimate solution to what ails the world, peeking behind the curtain reveals them to be behind the levers of some of the world's most pressing problems - terrorism ravaging North Africa not the least amongst them. NATO's arming of LIFG and literally carving out a nation-state for them has given them a springboard to take their US, French, Qatari, and British weapons both west toward Syria and east to Mali. For this reason, if no other, NATO and the UN that has legitimized their global murder-spree must be recognized as entirely illegitimate - their do-gooding seen as the scam it is. They have created a problem to which their answer is military intervention, the destruction of sovereign nation-states, and the installation of client regimes demonstratively devoid of the promised "democracy" and "freedom" they were supposedly there to institute.